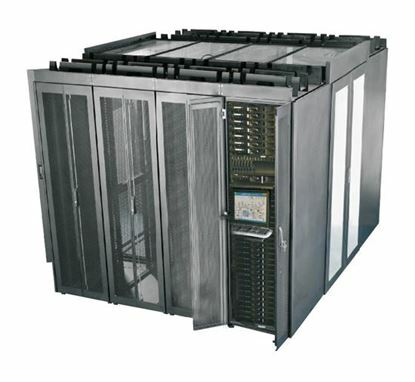 DYNAMIX 42RU Server Cabinet 900mm Deep (800 x 900 x 2077mm). Incl. 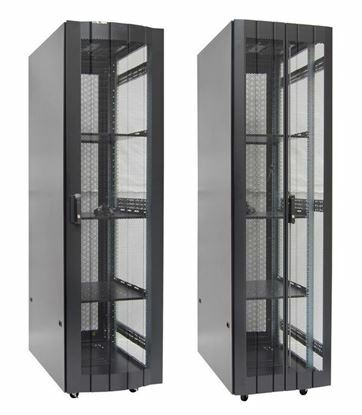 3x DYNAMIX 42RU Server Cabinet 900mm Deep (800 x 900 x 2077mm). Incl. 3x Fixed Shelves, 4x Fans, 25x Cage Nuts, 4x Castors & 4x Level Feet. front vertical cable management. 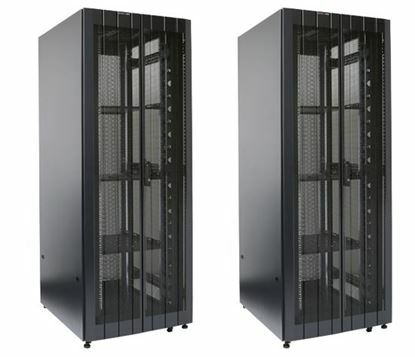 DYNAMIX 45RU Server Cabinet 1200mm Deep (800 x 1200 x 2210mm). Incl. 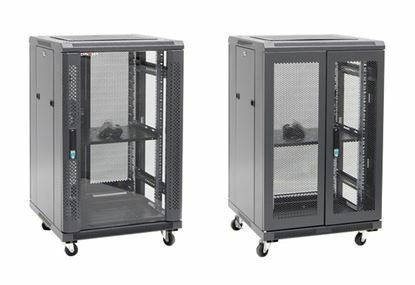 3 DYNAMIX 45RU Server Cabinet 1200mm Deep (800 x 1200 x 2210mm). Incl. 3 x Fixed Shelves, 4x Fans, 25x Cage Nuts, 4x Castors & 4x Level Feet. Dual front & rear mesh doors. Supplied as Flat Pack. Black. DYNAMIX 6RU Stainless Outdoor Wall Mount Cabinet (611 x 425 DYNAMIX 6RU Stainless Outdoor Wall Mount Cabinet (611 x 425 x 390mm). SUS316 Stainless Steel Construction. IP65 rated. Lockable fans or filters. Wall mount accessories included. DYNAMIX 9RU Stainless Outdoor Wall Mount Cabinet (611 x 425 x DYNAMIX 9RU Stainless Outdoor Wall Mount Cabinet (611 x 425 x 440mm). SUS316 Stainless Steel Construction. IP65 rated. Lockable fans or filters. Wall mount accessories included. DYNAMIX 9RU Stainless Outdoor Wall Mount Cabinet (611 x 625 x DYNAMIX 9RU Stainless Outdoor Wall Mount Cabinet (611 x 625 x 440mm). SUS316 Stainless Steel Construction. IP65 rated. Lockable fans or filters. Wall mount accessories included. 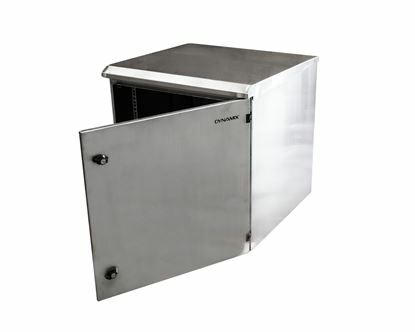 DYNAMIX 9RU Stainless Vented Outdoor Wall Mount Cabinet (611 x DYNAMIX 9RU Stainless Vented Outdoor Wall Mount Cabinet (611 x 475 x 560mm). SUS316 Stainless Steel Construction. IP45 rated. Supplied with dual extractor fans & input/output air filters. DYNAMIX 12RU Stainless Outdoor Wall Mount Cabinet (610 x 425 x 515mm). 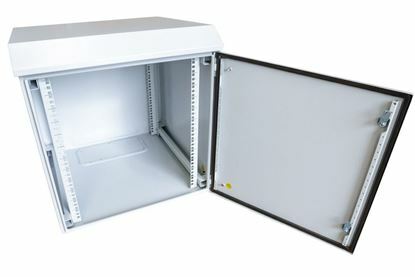 DYNAMIX 12RU Stainless Outdoor Wall Mount Cabinet (610 x 425 x 515mm). SUS316 Stainless Steel Construction . IP65 rated. Lockable front door. fans or filters. Wall mount accessories included. DYNAMIX 12RU Stainless Outdoor Wall Mount Cabinet (610 x 625 DYNAMIX 12RU Stainless Outdoor Wall Mount Cabinet (610 x 625 x 515mm). SUS316 Stainless Steel Construction. IP65 rated. Lockable fans or filters. Wall mount accessories included. 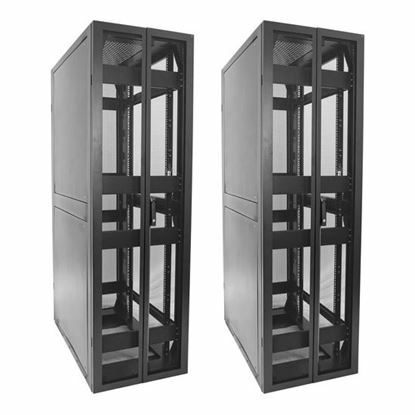 DYNAMIX 12RU Stainless Vented Outdoor Wall Mount Cabinet (610 x DYNAMIX 12RU Stainless Vented Outdoor Wall Mount Cabinet (610 x 425 x 640mm). Stainless Steel Construction SUS316. IP45 rated. 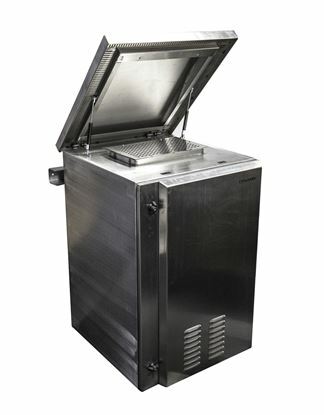 Supplied with dual extractor fans & input/output air filters. 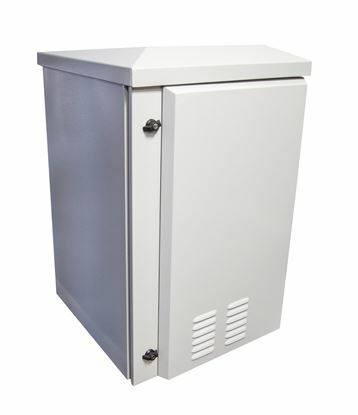 DYNAMIX 12RU Stainless Vented Outdoor Wall Mount Cabinet (610 x DYNAMIX 12RU Stainless Vented Outdoor Wall Mount Cabinet (610 x 625 x 640mm). SUS316 Stainless Steel Construction. IP45 rated. Supplied with dual extractor fans & input/output air filters. DYNAMIX 18RU Stainless Outdoor Wall Mount Cabinet (610 x 425 x DYNAMIX 18RU Stainless Outdoor Wall Mount Cabinet (610 x 425 x 640mm). SUS316 Stainless Steel Construction. IP65 rated. Lockable fans or filters. Wall mount accessories included. DYNAMIX 18RU Stainless Outdoor Wall Mount Cabinet (610 x 625 DYNAMIX 18RU Stainless Outdoor Wall Mount Cabinet (610 x 625 x 640mm). SUS316 Stainless Steel Construction. IP65 rated. Lockable fans or filters. Wall mount accessories included. DYNAMIX 18RU Stainless Vented Outdoor Wall Mount Cabinet (610 x DYNAMIX 18RU Stainless Vented Outdoor Wall Mount Cabinet (610 x 425 x 915mm). SUS316 Stainless Steel Construction. IP45 rated. Supplied with dual extractor fans & input/output air filters. DYNAMIX 18RU Stainless Vented Outdoor Wall Mount Cabinet (610 DYNAMIX 18RU Stainless Vented Outdoor Wall Mount Cabinet (610 x 625 x 915mm). SUS316 Stainless Steel Construction. IP45 rated. Supplied with dual extractor fans & input/output air filters.